My oh my! It's unbelievable how the tides can suddenly shift. At one time, some companies are at the top of the world, constantly pushing the envelope with their offerings, and then out of the blue, a series of misses can set them back – to the point of obscurity even! That's the reality for Taiwanese smartphone maker HTC, who is in a predicament of sorts with its handset division, one that's been on the decline for some time now. 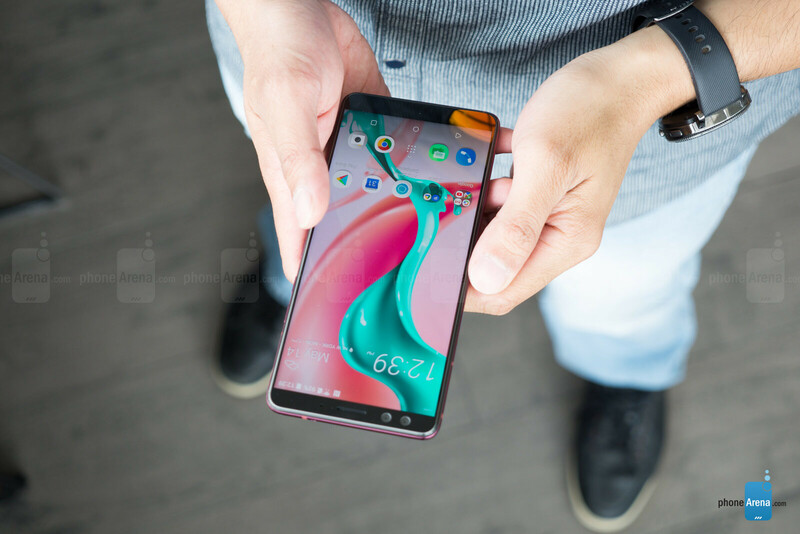 Last year, we saw tremendous changes with the redirection of HTC's flagship(s), which led many to question whether or not the company could recover and return to its former glories. Sure, it might've teamed up with Google again for the Pixel 2, but nothing else from their stable managed to reach the same level of acclaim. 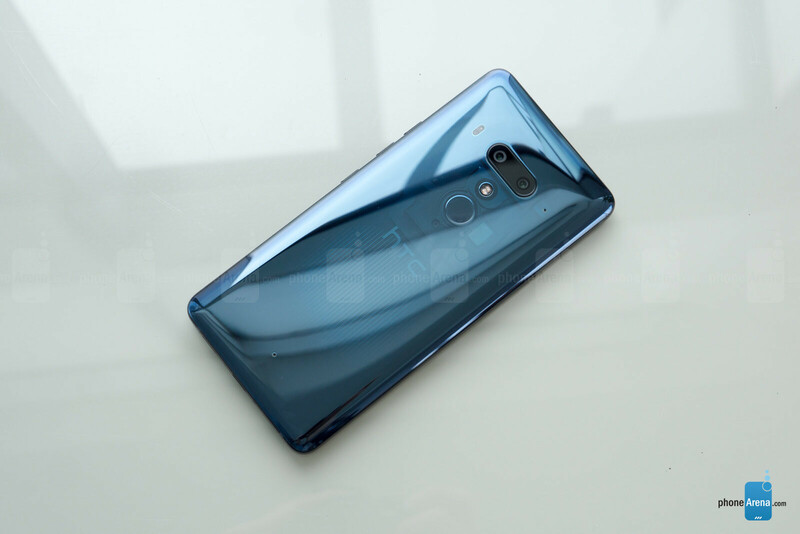 Nearing the halfway point of the year, its latest flagship model, the HTC U12+, aims to repair the company's reputation and steer it back to good fortunes. Considering that HTC has had ample time to develop this smartphone, there are high expectations that it can truly deliver the goods! 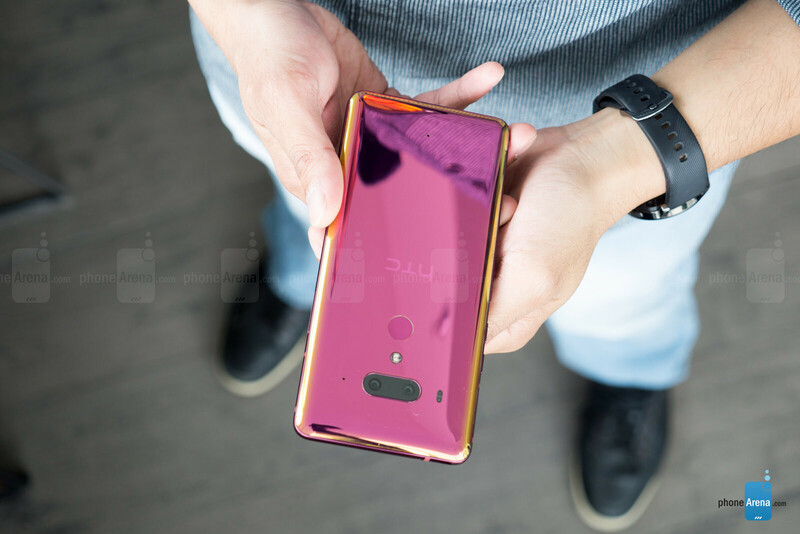 HTC ditched its signature metal designs with the introduction of the HTC U11 and U11+ last year, both of which adopted the all-glass construction that has been rampant amongst smartphone flagship designs of late. Not surprisingly, it's what we're presented here yet again with the U12+. 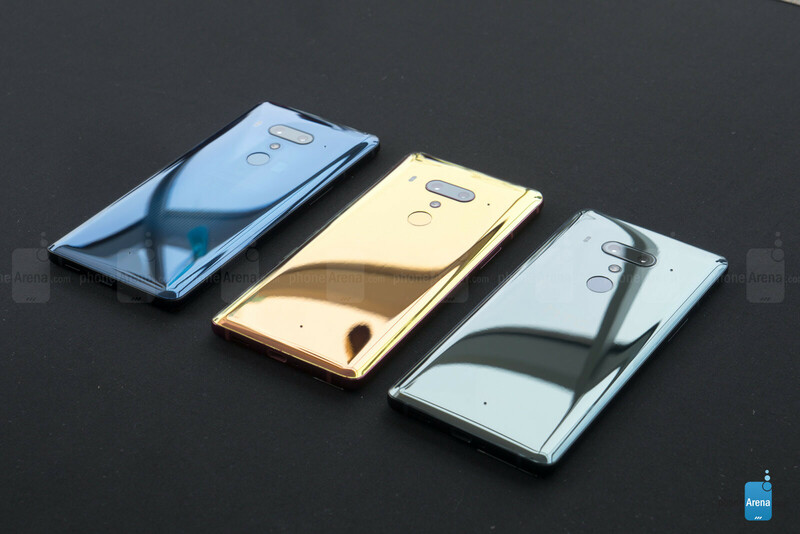 For the most part, the aesthetics follow the same liquid surface design language we saw previously with its phones, and in the greater scheme of smartphone designs, we'd say it's pretty generic. 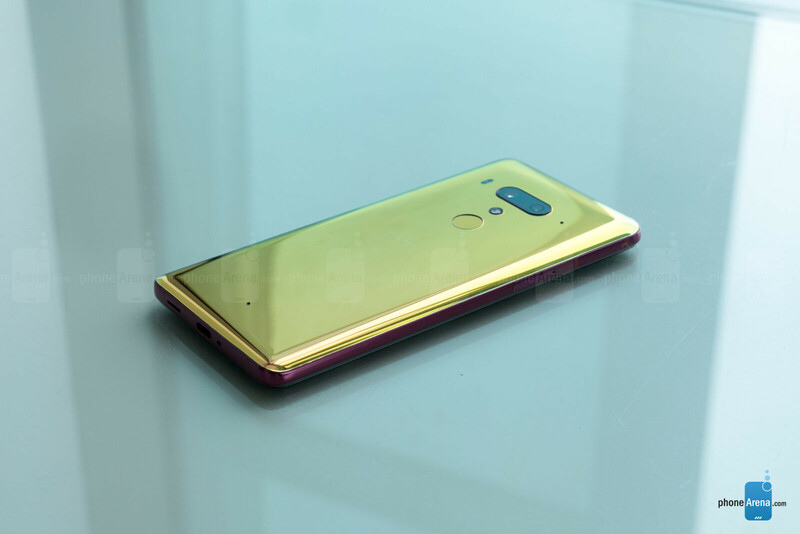 In fact, we first through we were dealing with the LG V30 when looking at the back of the phone – the resemblance is uncanny, to say the least! As for the glass covering the phone, HTC opted to stick with Corning's Gorilla Glass 3. 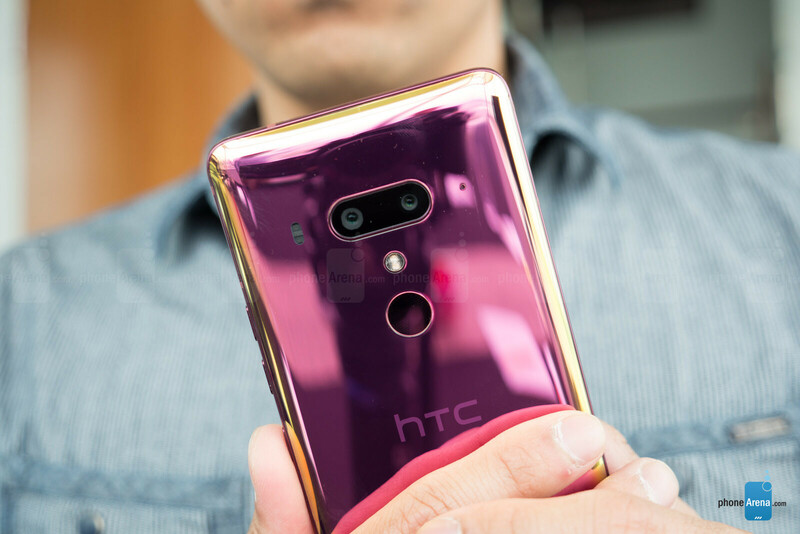 We will certainly agree, though, that the HTC U12+ features the best-looking paint jobs in any flagship released right now. The flame red and translucent blue colors are arguably the most compelling we've seen, besting even the gradient color scheme seen with the Huawei P20. With the translucent blue, you're able to see some of the innards of the smartphone, but even better is how the paint job shimmers from red to yellow with the flame red option. Yes, there's no denying that we're entranced by these peculiar color options, but we're also comforted to know that the phone feels incredible to hold in the hand – while its IP68 rating ensures it'll handle incursions with submersion. However, we'll point out that it doesn't have a headphone jack, but we're told that it'll come with the same pair of USB Type-C earbuds packaged with its previous flagships. And yes, its HTC BoomSound speakers consist of a top treble one and a second one on the bottom edge for lower audio ranges. 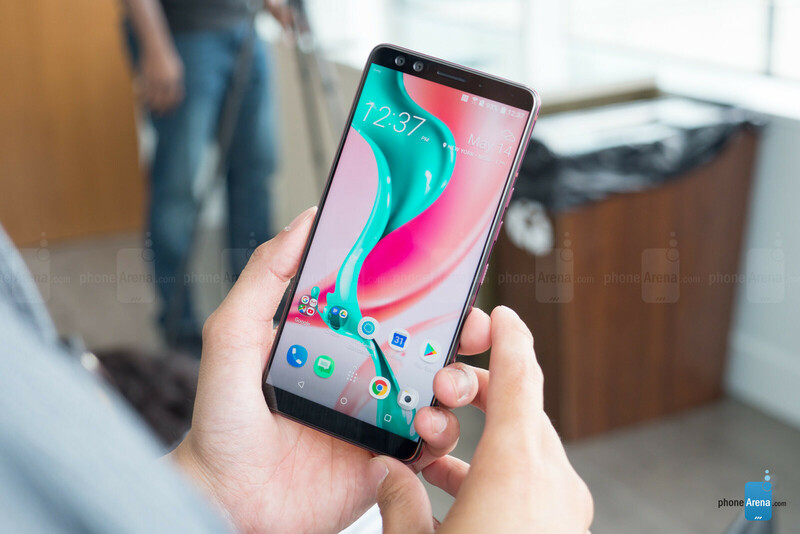 Sizing up to what its contemporaries are offering, the HTC U12+ features a 6-inch QHD+ (1440 x 2880) Super LCD 6 display, it clearly conjures up some compelling qualities. Even though details are superior and colors punchy, the display seems to suffer from some poor viewing angles. Straight on, it's visible in even the brightly lit conditions we were checking it out in, but tilt it to the sides, there's a lot of distortion. Thankfully, HTC decided to go against adopting the notch with its display, choosing instead to stick with a uniform one. It's pretty skinny, but it's not the bezel-less look we find in other phones. Now, this decision could arguably be attributed to the pair of front-facing cameras that the HTC U12+ is rocking. We'll talk more about that in the camera section! Diving into the software here, which is running on top of Android 8.0 Oreo, it follows in its predecessor's footsteps by continuing to leverage the same Edge Sense features. Just as before, you can "squeeze" the phone either quickly or for a slightly longer period of time to perform certain functions – like turning on the flashlight, running the camera app, taking a photo, and much more. New with the experience is a new tapping function whereby you can double tap either the left or right edges of the phone to perform certain functions. Thankfully, you can customize all of these functions. Beyond that, there's really not much of anything different with the experience. Being its flagship, the HTC U12+ is endowed with the Qualcomm Snapdragon 845 SoC, coupled with 6GB of RAM. Its performance, much like its peers leveraging the same chipset, is fairly responsive from the get-go. For power users even, it should suffice for even the most strenuous of operations – like gaming. As for storage configurations, it'll be available with either 64GB or 128GB of space, with expansion via its microSD card slot. Remember when HTC introduced us to the bokeh effect with the HTC One M8? 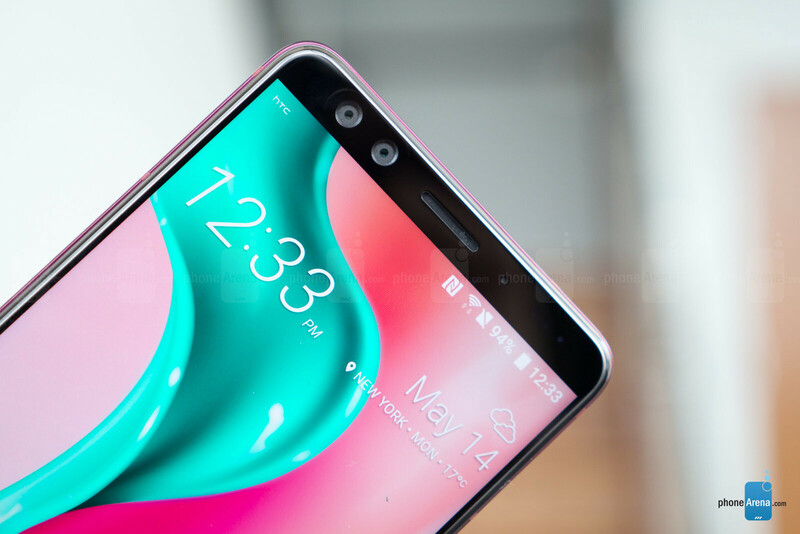 Well, this marks the company's return to a dual-camera configuration, as the HTC U12+ not only features dual-rear cameras, but also dual front ones! With the rear pair, it breaks down to a 12MP wide-angle f/1.76 UltraPixel sensor and a 16MP 2x optical zoom one with an f/2.6 aperture. Naturally, this allows the phone to deliver those slick looking portrait shots – wherein the subject remains focus and the background is blurred out. Frankly, the 2x optical zoom is pretty useful, but the portrait mode is pretty generic with today's offerings. What's new and different is that it's packing dual front-facing 8MP f/2.0 cameras. This pair, much like all dual-camera systems, are meant to deliver portrait shots with the usual bokeh effects. We're not as enthused about this, mainly because there are several phones already in the market that capture portrait photos relying on just a single front-facing camera – so it would've been better if this implementation were able to capture wider selfies. Another new feature with the camera is Sonic Zoom, which relates to its video capturing abilities. In particular, when using the zoom while recording, the microphones on the HTC U12+ will perform an "audio zoom" of sorts to hone its capture on your subject. You'll see an icon on-screen to indicate the function, but we couldn't really make out the audio as good because we were in a noisy room. Overall, the HTC U12+ packs in some new features we haven't seen before into its arsenal, but we wouldn't go far to proclaim them as revolutionary. Then again, we'll be more excited if it can produce better quality than the competition. Inside its chassis, it's carrying along a 3500 mAh battery, which is less in capacity that the previous HTC U11+. Even though the change is substantial for the U12+, we're crossing our fingers that the optimizations with the newer software, combined with the more battery efficient Snapdragon 845 chip, will deliver battery life that's just as good. When it comes to charging, we're told that Quick Charge 3.0 enables it to achieve a 50% charged capacity with just 30 minutes of charging. However, it lacks wireless charging. A predecessor an all, the HTC U12+ carries along the usual barrage of iterative upgrades, but when you consider that they're one of the last major players in the space to unveil its flagship smartphone, we were expecting something to truly blow the competition out of the water. Instead, it's a successor that treads the waters very carefully – choosing mainly to deliver the necessary upgrades to make it a competent competitor in the space. Specs wise, it matches its contemporaries to the tooth, while the new Edge Sense features can still be regarded as novel things. What's strange, though, is that the HTC U12+ may be able to generate consumer interest with the help of its design. Indeed, there are refinements made over its predecessor, but it's largely the two polarizing color options that can very well entice consumers. Similar to how the Huawei P20 was praised for the adventurous gradient color scheme it opted to employ, the U12+'s cool looking color options may very well find itself in the same position. But then again, there's the matter regarding pricing. 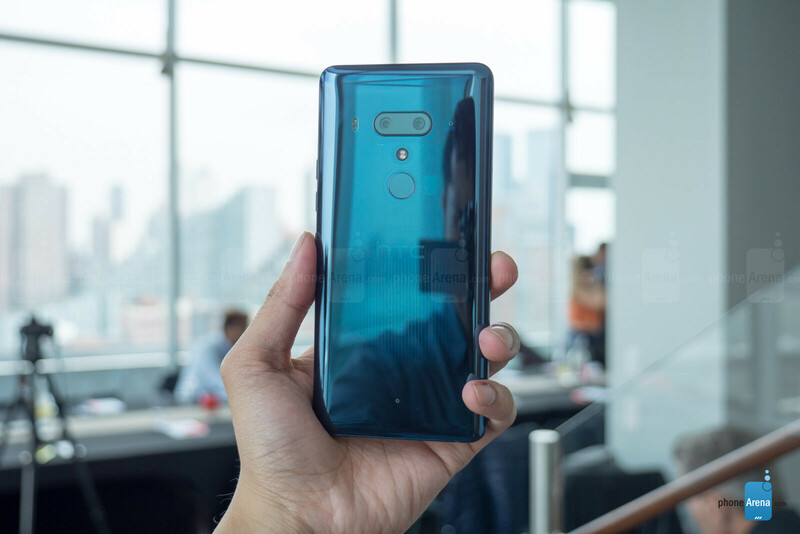 The HTC U12+ will start out at $799 for the 64GB translucent blue version, or $849 for the 128GB option, with the 64GB ceramic black variant retailing for $799. However, there's no word yet about the pricing or availability of the flame red color for the US market. 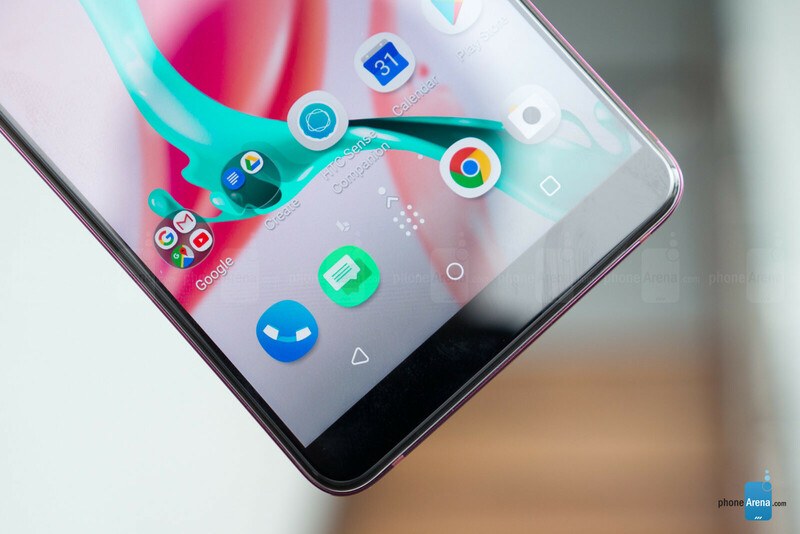 Compared to other recent Android flagships announced this year, the HTC U12+ is priced higher than the majority of its contemporaries – with most of them hovering between the $700 and $750 range. Unless it can prove itself worthy in all the relevant areas, it's going to be an uphill battle trying to convince consumers to pick up something that's a bit more expensive than the rest of the gang. It looks beautiful. I actually prefer this over the rounded screens that its competition uses. It's a shame they didn't use a 4000 mah battery. I think Phone manufacturers are underestimating the demand of big battery smartphones. Also, this Phone should have wireless charging, for sure. But man, it looks good, especially in the blue translucent version. I want one. Now. Who is gonna buy this s**t? Htc sold their design engineers and made this crap. Nice looking phone but wheres the standout feature? I'm sorry, but the back of the phone looks like a Chinese kids toy...if you are over 17 years old I can't see how you could use such a phone and not get laughed at. And the front...looks like it's from two years ago. Largest "small" bezels in the business. At $799 this will be a hard sell against the G7 and S9 especially the OP 6. With that price tag they could have at least put in wireless charging. Great phone. Reminds me of LG, especially with those colors and back design. Dear PhoneArena. HTC started using the liquid surface with U11, 6 monthes before Huawei with the P20. If someone is the copycat, it's Huawei, not HTC. That recalls me the way HTC was accused of copying the metal unibody of the iphone 6 with the One A9 whereas the were the first with this design with the One M7.